Has 20 recipes, 16 public recipes. Has 4 flavors in inventory. Thefogvlog supports All The Flavors. Upgrade yourself. This is our submission for Heat 2 of the DIYDU vs TFV MixOff. This challenge is all about pudding, but ensuring that the hero of the recipe is the creamy element. We decided to go retro, and create a full cream Panna Cotta. Interestingly enough, we only found 3 Panna Cotta recipes on ATF - and all of them use MB Panna Cotta - so creating this layer from scratch was part of the innovation we want to highlight in this recipe. 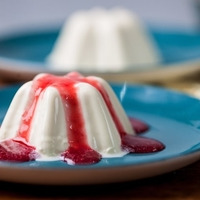 Traditionally a Panna Cotta is a sweet cream with a bit of gelatin added to help it set in the fridge. This is why we decided to go with CAP Sweet Cream, it has a full body dairy / cream behind it with a touch of sweetness, but it needs a little help - CAP Vanilla Whipped Cream, is a extremely underrated concentrate, here it helps fluff out the CAP Sweet Cream and adding a slight vanilla note to the mix that helps bridge the Panna Cotta Layer with the Mixed Berry Coulis Layer. Finally this delicate layer is infused with FLV White Chocolate - the creamy thick sweetness from this layer sets you up nicely to balance it with a mouthwatering tartness that inherently comes with berries. This is a collaboration recipe for the TFV vs DIYDU Heat 1 - MixOff Compo. FLV Acai is a hidden gem in the mixing community (until now) and finally deserves it’s day in the sun. This mysterious berry is the fruit of the Acai palm tree and its flavour profile is a cross between a blackberry, raspberry and chocolate! The inherent tartness and realistic, rich berry flavour is second to none, but that is not the best part... This little gem has a little trick up its sleeve! The acai berry’s natural cocoa characteristics comes through beautifully on the exhale and provides a rich, natural chocolate note. TPA Banana Cream was the obvious banana choice, given the vendor restriction for the compo. The banana cream, with its innate creamy banana custard characteristics, is the perfect vehicle to receive the rich, dark chocolate sauce bestowed on it. FA Pear’s role is to impart some juiciness and sweetness without detracting for our heroes and does the job here with ease. Don't be afraid to add a little sweetener, as most flavoured milk has some sweetener in it. TFA Dairy Milk - This adds depth to the whole layer, it also ads a prominent dairy note to the mix. 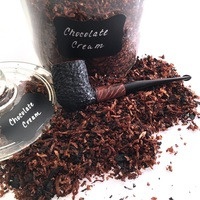 This is a tobacco recipe that reminds me of my grandparents aka "The Gindra's" - my grandfather was always smoking, and my grandmother never missed and opportunity to shove a chocolate in my hand. So this is a combination of that, even though I didnt use any chocolate concentrates in this mix, Red Burly has a chocolate note in it. Shisha Vanilla - adds the vanilla note, and a smidge of body with the creaminess it has built into it. Made a 3 2 1 quickie that I want to share with you guys - I find it difficult to get a custard just right. For me it needs to have a full thick mouth feel, with deep butter and eggy notes. INW Custard - This is a custard that develops in a week, so I used this one as it gets you 90% there. CAP Golden Butter - This deepens the custard right from the start. Sweeten to taste, I like it sweet at 0.3% CAP SS. This is not a complete recipe, this is a apple filling with custard drenched all over it. Its delicious on its own. But you can get creative and add your favourite crust or crumble layer to this, and you will have a full dimensional vape. So after a few attempts I finally created a layer that i'm happy to release. I'm a shake and vape kinda guy, and the biggest mission for me was to create a custard layer that has enough body right from the shake. TFA Cheesecake Graham Crust - This adds the body to the vape, and it was added low to not bring any cheesecake to the party. CAP Golden butter - Deepens the custard right from the shake you get some depth when you add this. FLV Apple Filling - I used it at 1% as I feel that is enough cinnamon, and enough apple to sell the profile i'm going for. This is a up town sun downer cocktail that only the affluent really understands - Ice Cold Expensive White Muscat Grape Vino - with a dash lemonade, and frozen Honey Dew Ice cubes - I know honey, BOUJEEEEEE. 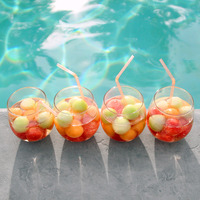 SS - It needs it, this is a cocktail - it really helps the fruit pop a bit more. So this is the first boozy vape that I have created - I would say that it serves as a gateway to other boozy / cocktail vapes out there. I love working with grapes, and that translates well when working with wines. This is not a complete recipe, just a layer - but there is tons of things you can do with it. 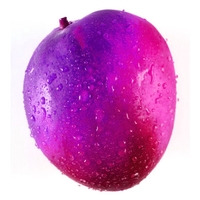 Its a delicious full bodied juicy mango - with a purple black currant finish. Oddly these two fruit belong together. You are going to need a smidge of Super Sweet to in this combo - trust me. It works very well. I'm really pleased with this layer I have created - it serves as a base for so many variations. The thing with a lemonade is you can chuck any candy berry or fruit for that matter and it should work. If you love lemonade, and you are looking for something with a sparkle - this has to be the closest you can get. Then when you get bored of it - you just bang a berry or whatever in it, to put a different spin on it. I tested this in my 22 Citadel, and its very in your face lemonade - so my suggestion would be to keep the ratio and just bump it down by 20% if you are planning to vape this in a flavor atty. 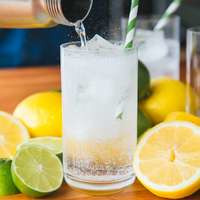 FLV Citrus Soda : Bit of a sparkle, citrus notes - to turn my uptown lemonade into something more affordable for the middle-class. CAP Super Sweet : Removes bitter note from lemon, they do this in the real world also, I like sugar. This is not a complete recipe, its a Mixed Berry Jam layer that would work well on top of a cheesecake, ice cream or a crunchy toast layer - it will also work as a jammy filling inside a bakery. Black Berries / Blueberries with a hit of Strawberry. Its super gooey and sticky - with a nice round mouthfeel. Not overly sweet - but somewhat sweetish. Hope you guys enjoy. EDIT - @Tam Vapes suggested 0.25% FLV Boysenberry to deepen this jam, and it worked. Really liking this Raspberry switch-up, I think you are onto something here with coconut & raspberry! Thanks for posting this recipe! Thanks for putting this recipe out there. Was looking for a MTL recipe that is not a Tobacco or a Fruit - thought, hey this looks interesting. Very cool lil recipe, tasty. You should be putting more recipes out, this is good. Delicious Strawberry Cream recipe - nice ADV style recipe. Great body and mouthfeel in - enjoy the combo of strawberries in the mix. Wonder how this would work with INW Shisha Strawberry + JF Strawberry Sweet? Might give that a go soon - love the cream base! YAASSSSS - Banger! This is the best Strawberry Yogurt I have tasted, also has one of my favorite strawberries in - it just works. CAP Creamy Yogurts does not have such a heavy tang to it, so its a good introduction into yogurts. This reminds me of a High End Strawberry Drinking Yogurt - Great stuff. Thanks for this one! My partner and I have been killing 100's of ml's of cardinal - and we were looking for a different spin on it, so we mixed this up. See the thing is with a mtl setup, the throat hit is evertything (looking at you mr Peach White). Thanks for this recipe, its delicious. Delicious Recipe. Felt like I opened a bag of gummies and stuck my face right into it. If you like a good gummy candy, what are you waiting for ? Nice texture, smooth, sweet - keeps you guessing what gummy you are eating. This is a SUCCESS - I get two solid layers out of this mix, its been balanced out nicely. These are two of my favorite things together - of course i'm going to love it. 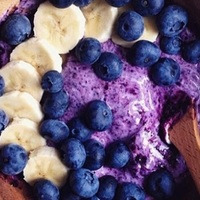 100% my favourite blueberry recipe out there. Nice creamy yougurt, with a fresh blueberries - simple, but oh sooooooo tasty. This recipes has shown me what FW Blueberry can do. BANGER!